The Magic of Hogwarts arrives at the College. Harry Potter and his friends have arrived at our school. 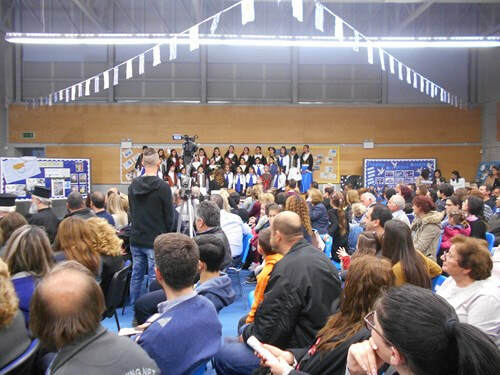 Different activities and tournaments are going to take place between the 3rd level classes. Tournaments of physical ability, math, language, dance ... Every Wednesday until May we will be doing these tournaments, learning and having fun. 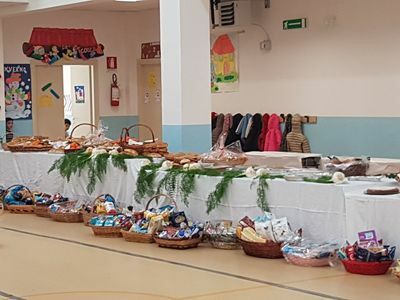 In March, our student council organized an Eco Fashion Competition. 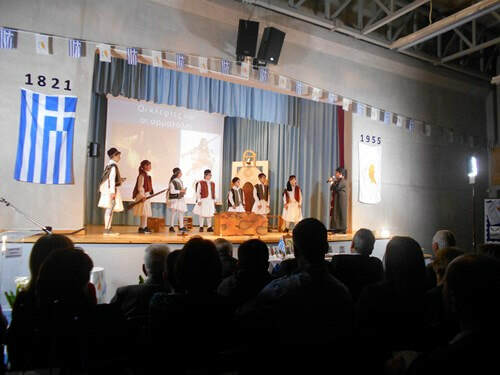 All the students of each had to come up with an idea for an eco outfit and then make it entirely from recycled materials. 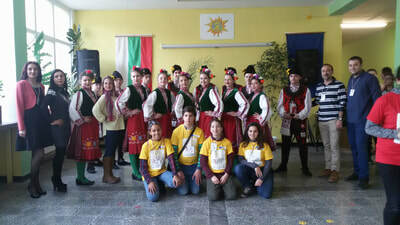 The results of their cooperation were remarkable! 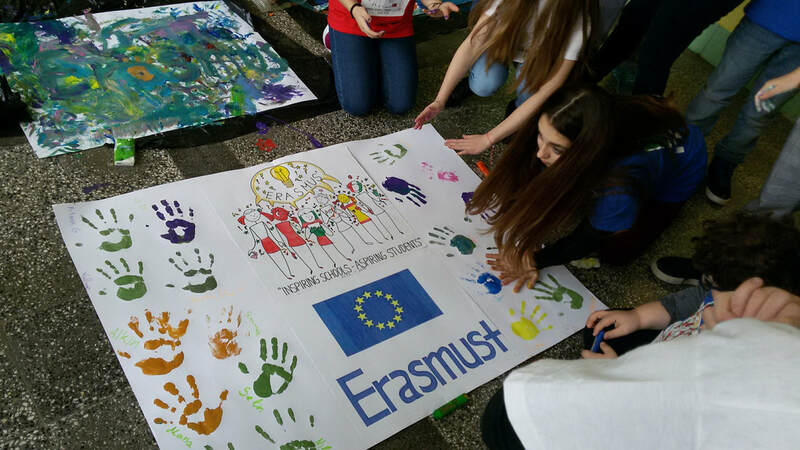 March-the most exciting month we have been waiting for a long time.We won't forget the week when our dear Erasmus + partners visited our school and changed the school atmosphere.This week was full with different activities and helped students and teachers to get known each other better and become open-minded to other culture and traditions,food and life conditions.Students and teachers met local artists,cooked traditional dishes,visited important educational institutions and places in town and the most important had a lot of fun together. We had a celebration dedicated to two major national anniversaries. 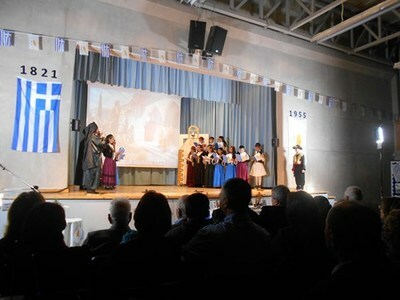 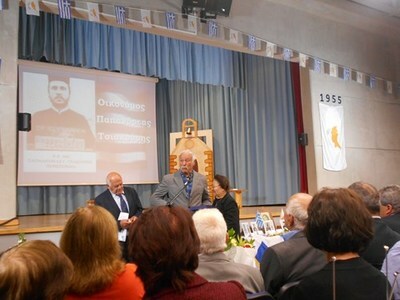 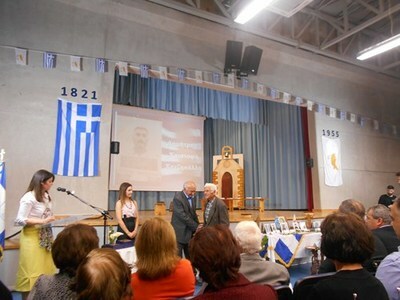 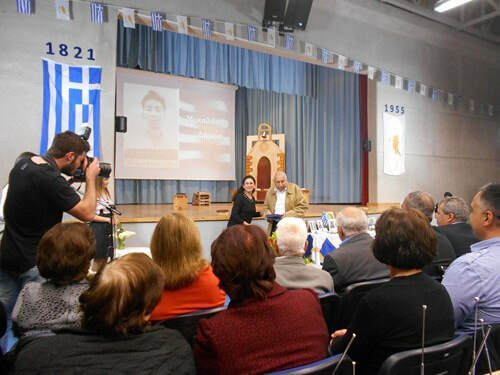 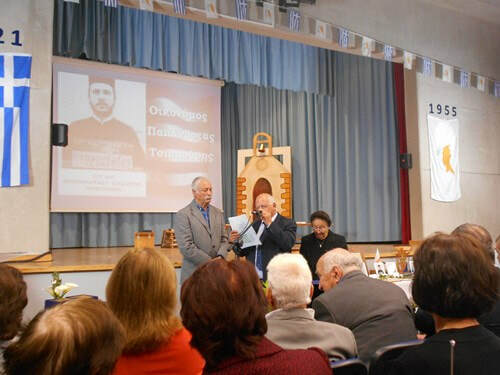 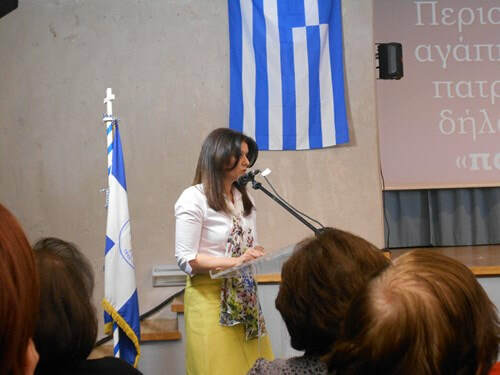 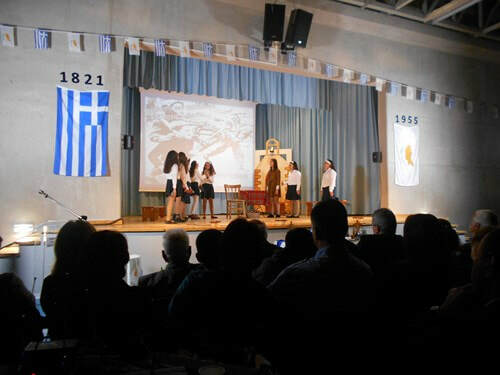 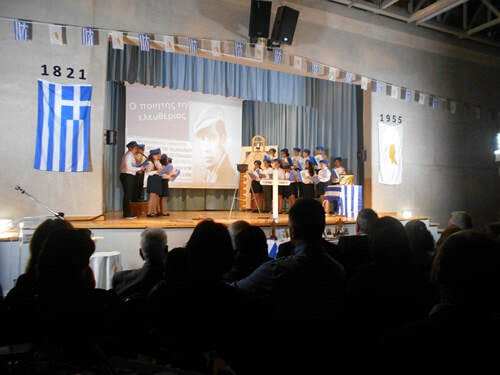 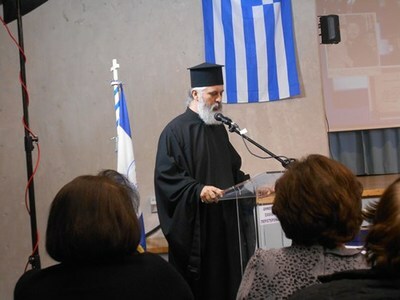 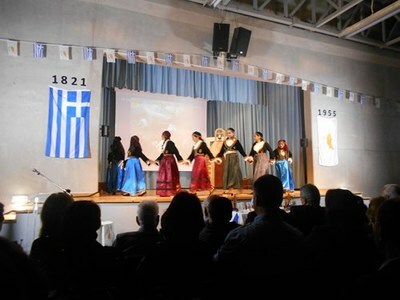 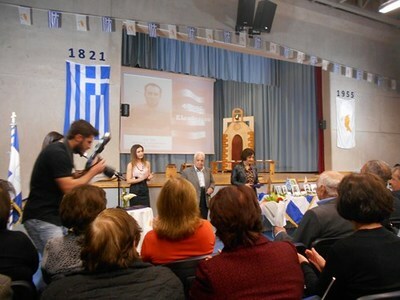 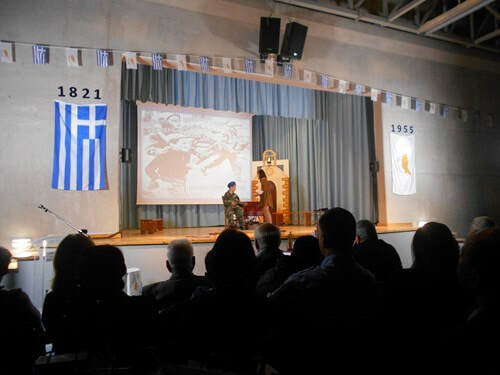 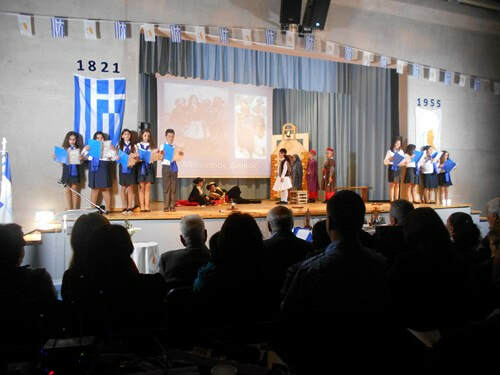 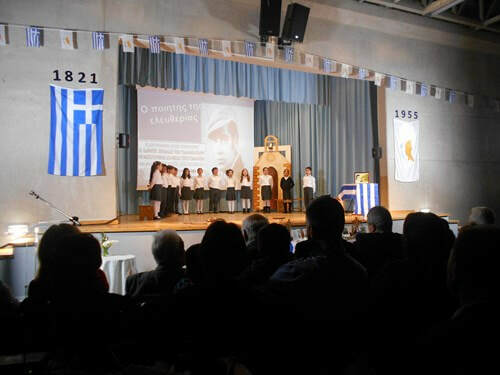 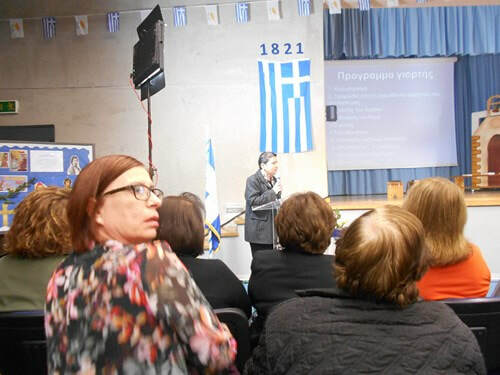 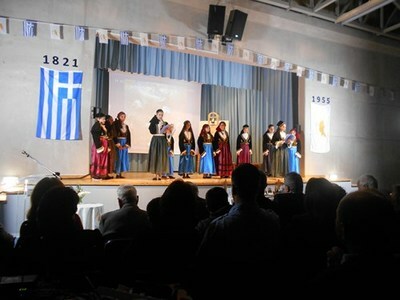 We celebrated the uprising of Greeks against the Turks in 1821 that led to the creation of the Greek nation and also the fight of Cypriots against the British conquers in the period of 1955-59. 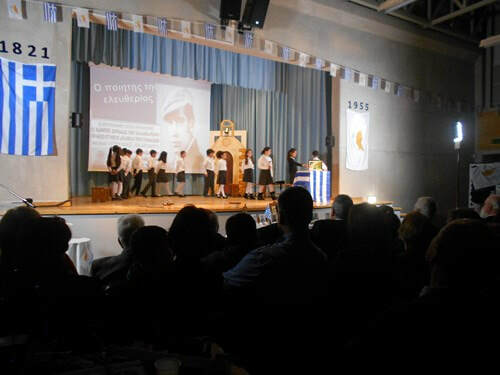 The fight led to Cyprus independence and to the creation of Cyprus democracy. 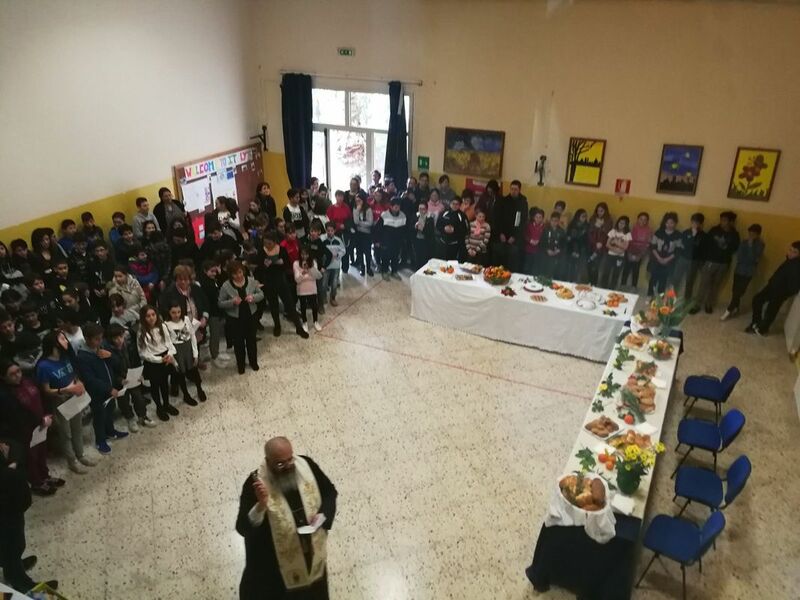 March 19th is celebrated throughout Italy as a day of honoring and giving thanks to Saint Joseph the patron saint of workers and artisans. 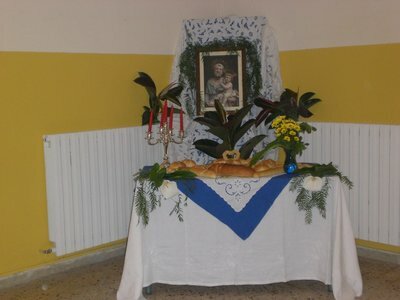 Saint Joseph is also the saint patron of our village and we celebrate him at school, too. 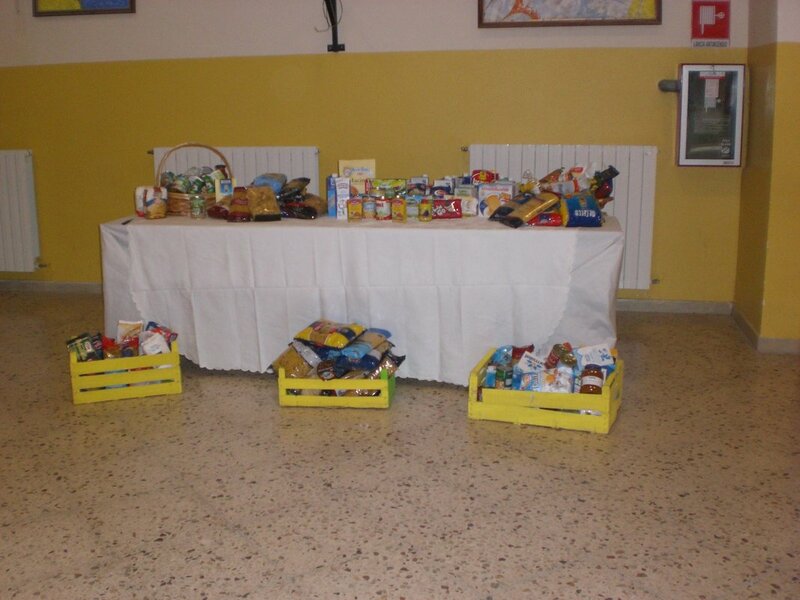 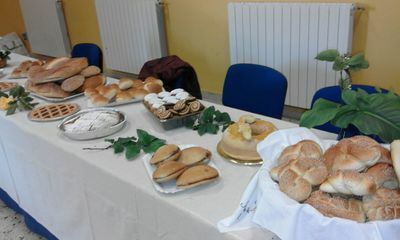 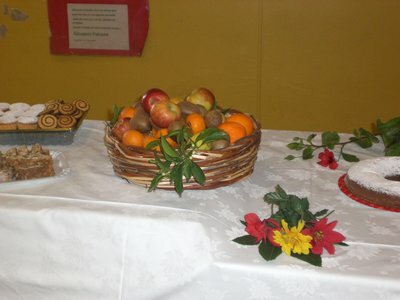 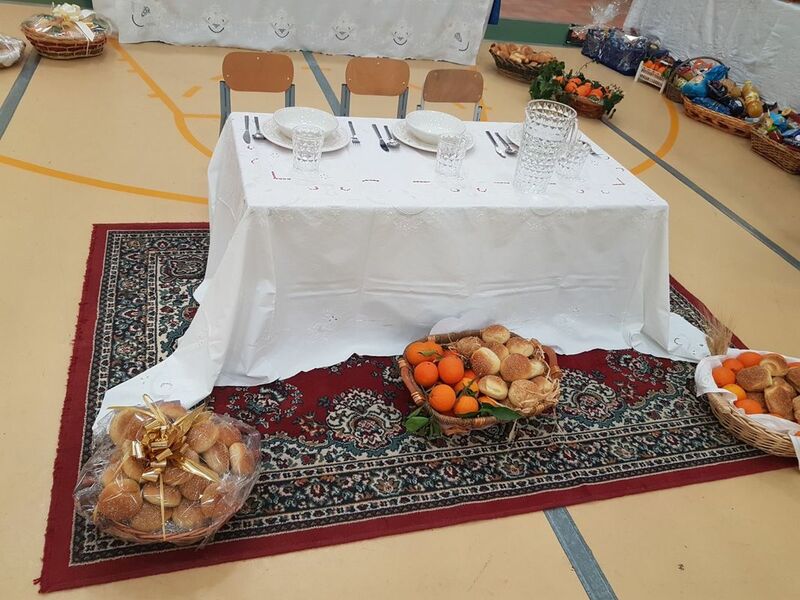 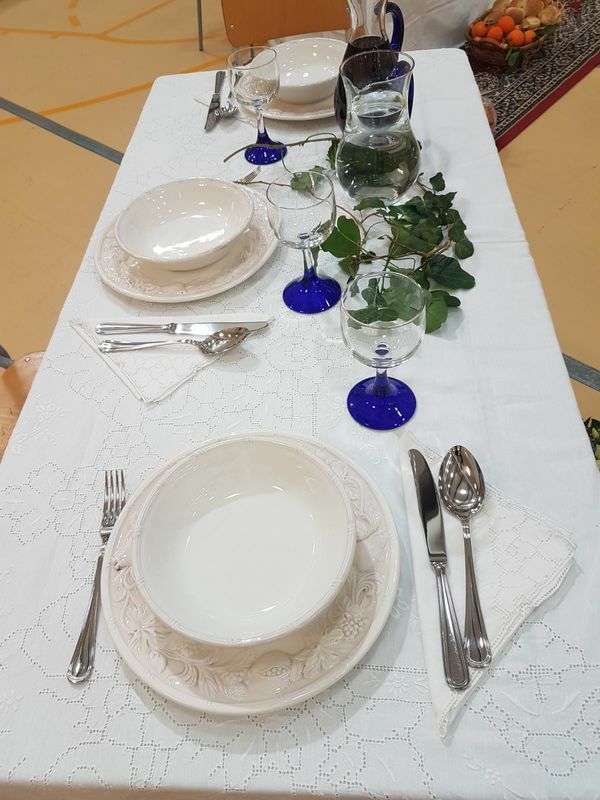 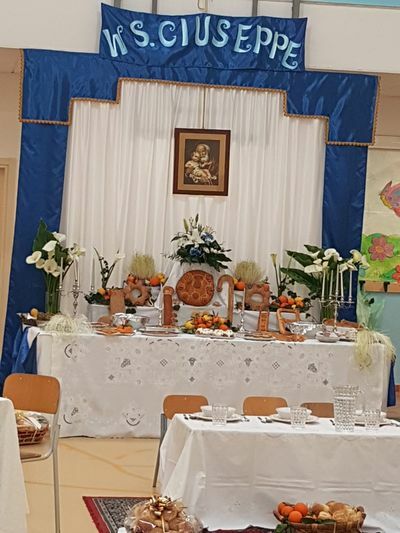 On this occasion we prepare the "St. Joseph's Table". 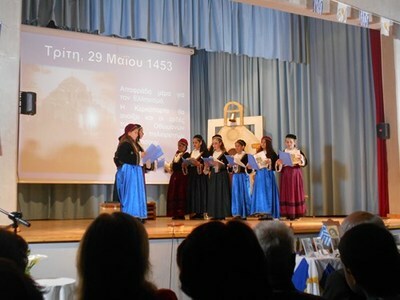 This ancient tradition goes back to the Middle Ages. At that time there was an exceptionally severe drought in Sicily. 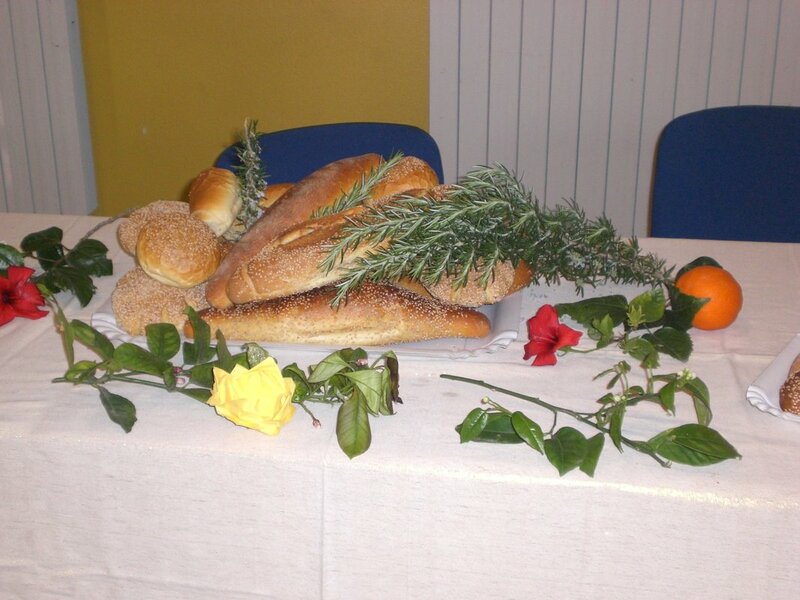 The peasants prayed to God for rain, and they also prayed to St. Joseph to intercede with God on their behalf. They promised that if God caused it to rain, they would have a special feast honoring God and St. Joseph.By miracle, the rains came and the crops were ere planted. 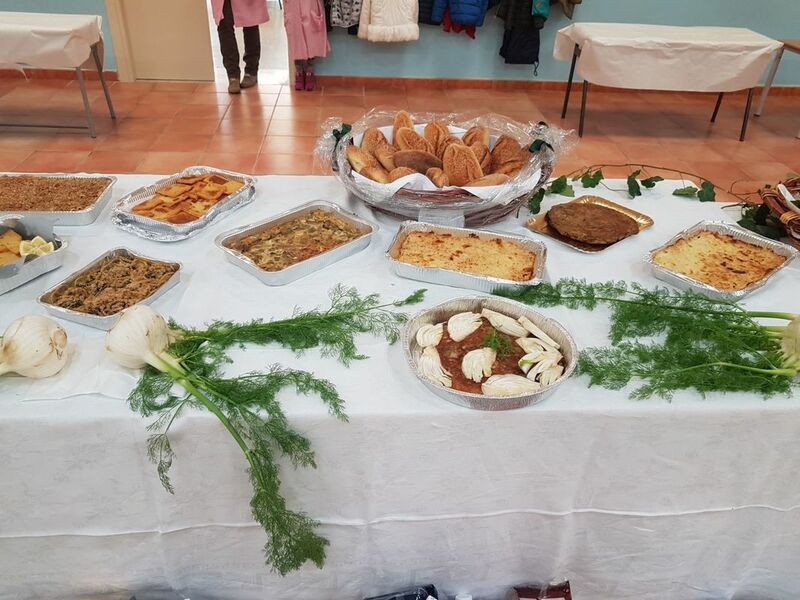 With the harvest, the people prepared a feast of foods from their crops. 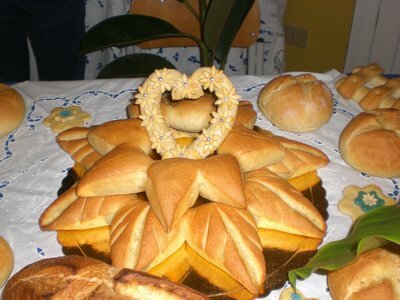 This has become known as the Tavola di San Giuseppe. 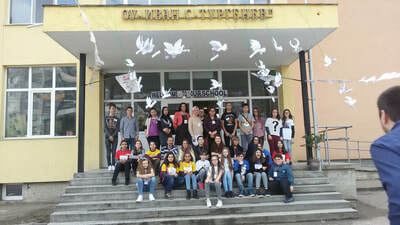 ​Our school organized a trip for 8 th graders to historical Vefa High School. 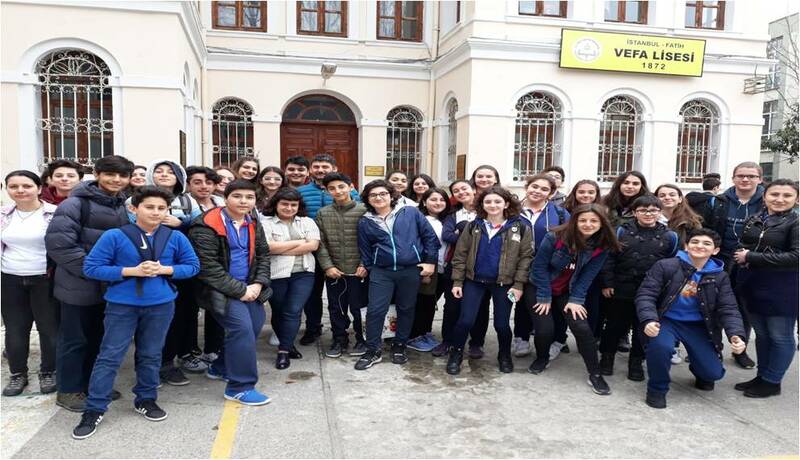 Our 8th graders who will take a national exam in June in order to study in a good high school visited Vefa High School for inspiration. 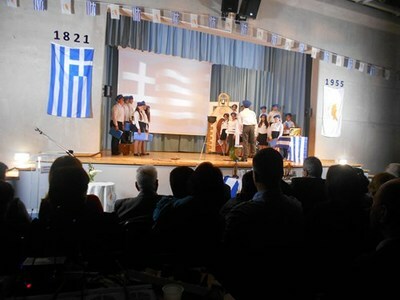 The teachers and students of the school informed our students about the education and social activities in their school. After the trip, our studentswere very motivated to study in this school.